Going through my portfolio recently I came to realize that it's been a long time since I worked for the Disney Company at it's Australian studio. 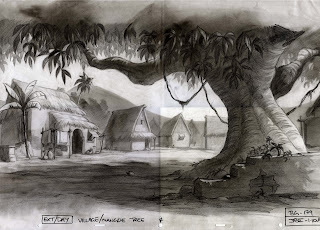 Even longer since working on the Jungle Book sequel as a layout artist. I can't believe it's been over 10 years already. OK, the sequels certainly aren't and probably never will be classics, in some ways they turned my off the originals for a while. Maybe that was because we watched the originals over and over again. It's a pity that if sequels really had to be made they couldn't find better stories instead of obvious bad rehashing of the original material. 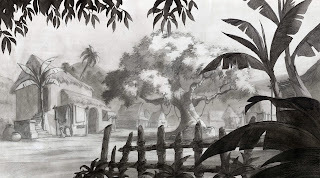 When we started layout on Jungle Book II we were given a pile of copies of layouts from the original film which we started out learning how to draw with the intention of following the style. Little did we know what a nightmare the production would become and how disappointing it would be to find that an executive high up made the decision that the film would have its own look. That's right, for some reason we were suddenly making a sequel which appart from the main characters would have little in common with it's classic predecessor. 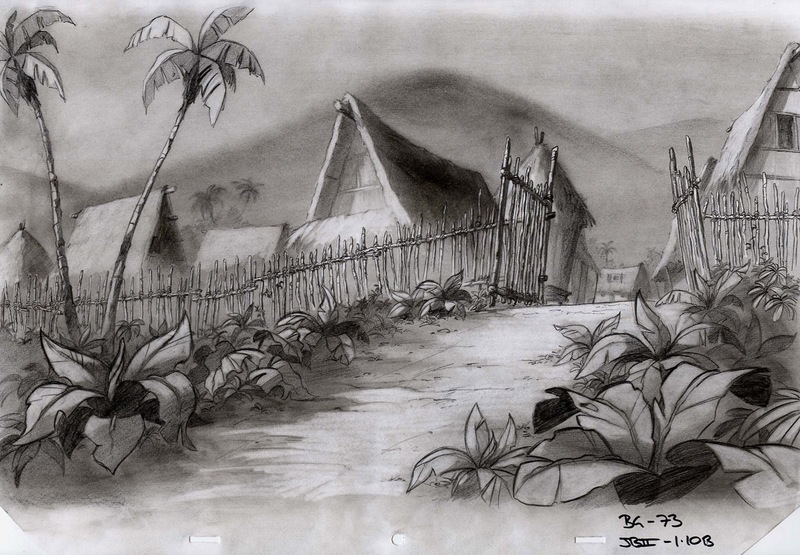 As you can see, even the village was redesigned. All I can say about that is, who knows? In my mind a sequel should visually relate to the original while expanding on it. Some very talented people worked on the film, including director Steve Trenbirth, it's a shame it wasn't a better film. For me personally, I got to work with some ex-Disney feature guys who really helped lift our game in layouts. Some of my work can be seen here. Maybe one day I'll watch it.